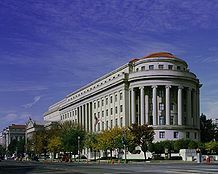 The Federal Trade Commission (FTC) is an independent agency of the United States government, established in 1914 by the Federal Trade Commission Act. Its principal mission is the promotion of consumer protection and the elimination and prevention of what regulators perceive to be harmfully anti-competitive business practices, such as coercive monopoly. 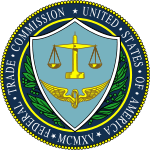 Many critics state that though the mission is in fact sound, the actions of the FTC are coercive and actually increase regulators that are harmful to consumers and business. The FTC has been involved in the oversight of the online advertising industry and its practice of behavioral targeting for some time. In 2011 the FTC proposed a "Do Not Track" mechanism to allow Internet users to opt-out of behavioral targeting. Categories: Federal Trade Commission | Corporate crime | Competition regulators | Consumer protection | Government agencies established in 1914 | Organizations based in Washington, D.C. This page was last modified on 5 May 2011 at 23:49.